Feel like you’re spending too much time and resources on having your hood cleaned? A good quality grease filter can help with that! Investing in a GL365 grease filter can also help reduce the need for frequent upkeep on roofing and rooftop grease containment systems. Why use a G365 Filter? Reducing frequent hood cleanings, saving money and water. Prevent excessive grease from collecting in rooftop containment systems. Avoiding grease build up on your roof. But with the help of grease filters, you can can mitigate these effects. There are many choices available for grease filtration, but we highly recommend choosing a Grease Lock GL365 fiber filter. They are easier to maintain than baffle filters and vastly more effective in trapping grease. Disposable, 100% biodegradable fiber filters. Significantly reduce the need for secondary grease containment. Reduced frequency of grease trap cleaning. Reduced water consumption, due to fewer cleanings. Save on labor costs with the ability to personally and quickly replace the filters. If you are interested in learning more – or you are ready to make the upgrade – contact us! Watch the video below for more information. Ready to be your company’s hero? 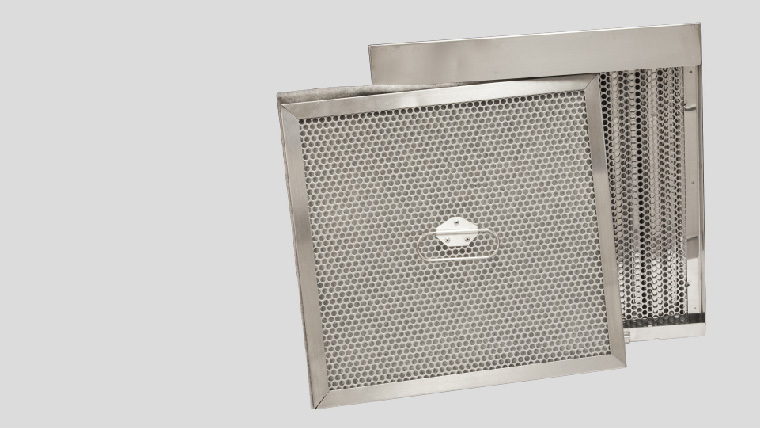 With the time and effort to clean exhaust hoods, and the importance of grease containment, making sure you have the right filter for your needs is essential. If you are still trying to decide which grease filter you need, give Facilitec West a call! We’d be happy to answer your questions. If you’re ready to install, our team of results-driven technicians are eager to help. We’ll make sure you are 100% satisfied, guaranteed. Call us today at 888.463.2293.